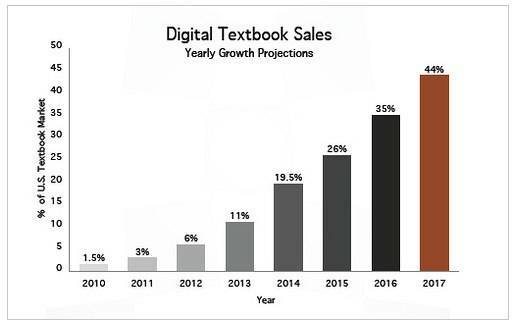 Sales of digital textbooks still only account for a small fraction of the U.S. college market. But according to the latest report by the social learning platform Xplana, we have reached the tipping point for e-textbooks, and the company predicts that in the next five years digital textbook sales will surpass 25% of sales for the higher education and career education markets. That figure is a revision from the company’s report last year, which predicted that one in five college textbooks would be digital by the year 2014. Due to the rate at which colleges are embracing digital textbooks, Xplana now projects that sales will grow by 80 to 100% over the next four years. One of the major reasons why Xplana’s report has more optimistic figures for textbook adoption is the popularity of the iPad. Xplana’s 2010 report was published before the impact of the iPad could really be assessed. No doubt, the success of the iPad has fueled the consumption of digital content in general. But the iPad has also spawned a number of new digital textbook companies, such as Inkling. Along with their embrace of the iPad, consumers have also bought e-readers in higher-than-expected numbers. 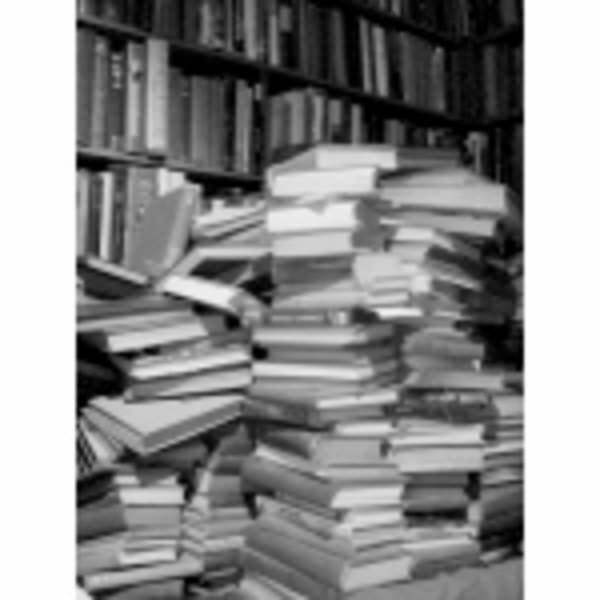 Only about 5% of millennials own e-readers according to a recent Pew Study on the adoption of electronic gadgetry, but undoubtedly, the exploding popularity of trade e-books will impact the acceptance of e-textbooks. Just as new devices have helped spawn the growth in e-books, Xplana also points to some significant developments around open educational resources (OER) and open textbooks. States and institutions have embarked on a number of OER initiatives to help address the affordability and availability of textbooks, including Washington State’s Open Course Library project, a program that aims to make core college materials available on the Web for less than $30 per class. But Do Students Really Want E-Textbooks? Making textbooks affordable addresses one of the major complaints that college students have about the cost of their education. But are e-books available at the right price yet? And even if they are, do students actually want digital textbooks? An oft-cited study by the Book Industry Study Group found that 75% of college students say they prefer print textbooks. But Xplana says that rather than take that study as a sign that students will refuse use digital books, we should instead marvel that, at a time when only 1% of college textbooks are available in an electronic format, that already 25% of college students say they prefer to study this way.